Los Baños, Philippines – Nov 15, 2017 — The International Rice Research Institute (IRRI) welcomed delegates from Croplife Asia today to its campus to discuss the vital role that pest management plays in securing food supply for the future. 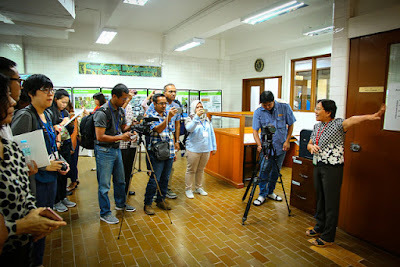 The visit was part of CropLife Asia’s Plant Science Primer event, an effort to bring together key journalists and other food stakeholders from across Southeast Asia to share information and experiences regarding the role plant science plays in enabling farmers. As a leading global research institution, IRRI works closely with partners from around the world in exploring rice germplasm for new traits, improving the productivity of farming systems so that they are resource-efficient, profitable, and environmentally sustainable. One such partner is Croplife Asia, whose focus is around ensuring that crop protection products such as pesticides are utilized responsibly and handled in the safest and most effective way to help farmers improve agricultural productivity and contribute to food security. Biotechnology provides farmers with tools that can make production cheaper and more manageable and provides consumers with foods that are nutritionally-enriched. Biotechnology has helped to make both insect pest control and weed management safer and easier while safeguarding crops against disease. The application of biotechnology in agriculture has resulted in benefits to farmers, producers, and consumers. “IRRI’s work will enable innovations that will empower governments and private sector players to overcome the inter-related challenges of continuing population growth, malnutrition, poverty, climate change, and deteriorating natural resources,” said V. Bruce Tolentino, IRRI Deputy Director General for Communication and Partnerships. IRRI’s scientists and researchers have been developing new approaches and products that fit farmer practices, production environments, and are resilient to climate change. 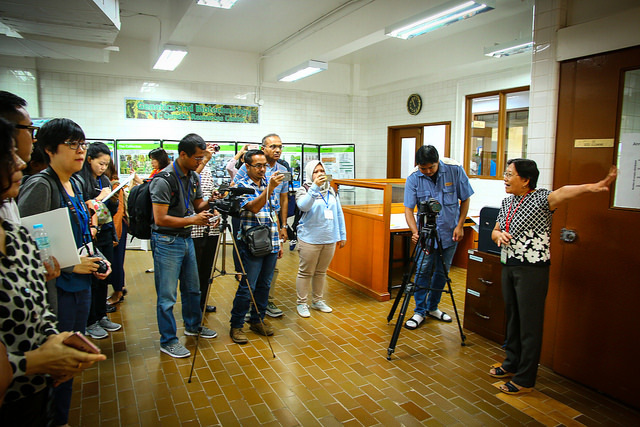 Moreover, IRRI’s rice breeding work encompasses the multiple disciplines of conventional and modern biotechnology to improve rice for better grain quality and higher yield, resistance to pests and diseases, tolerance of environmental stresses, less farm input requirements, and higher nutrient content. Crop protection solutions have addressed problems caused by pests such as weeds, diseases and insects which have led to higher and quality yields. “The challenge of growing more food with fewer natural resources and less impact on the environment is one that requires solutions that are game-changing and sustainable – the innovations plant science technology provides are just that. At the same time, the responsibility of supporting our region’s farmers to ensure they have access to the technology and tools they need is a shared endeavor, and we proudly stand with IRRI in continuing this important work,” added Dr. Siang Hee Tan, CropLife Asia Executive Director.